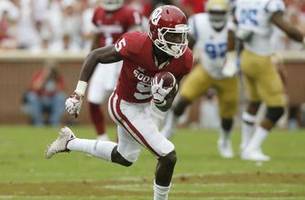 As draft day nears, there are still a lot of possibilities for what the Seahawks will do with their first-round pick. 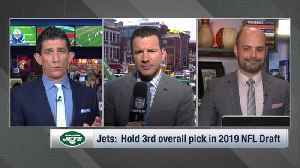 NFL Network Insider Ian Rapoport and Mike Garafolo break down how a trade involving Seattle Seahawks defensive end Frank Clark could shake up the first round of the 2019 NFL Draft. The Seattle Seahawks retain their quarterback in a very expensive deal. 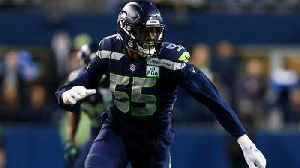 NFL Network Insider Ian Rapoport, Mike Garafolo and Tom Pelissero discuss defensive end Frank Clark's future with the Seattle Seahawks. 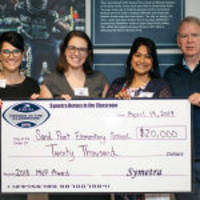 Following the path Seattle Seahawks QB Russell Wilson took to get a new contract signed with the team, becoming the highest-paid player in the league. 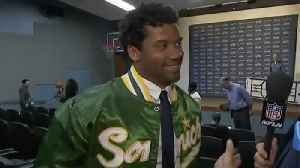 NFL Network's Omar Ruiz catches up with Seattle Seahawks quarterback Russell Wilson after his press conference to talk about his new contract. 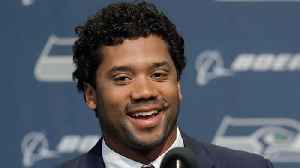 Seattle Seahawks quarterback Russell Wilson reveals how much longer he wants to play in the NFL. 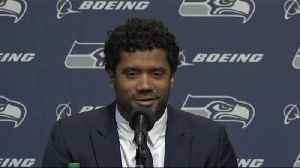 Seattle Seahawks quarterback Russell Wilson shares his reaction to teammates wide receiver Tyler Lockett and guard D.J. Fluker recreating his contract extension announcement video. 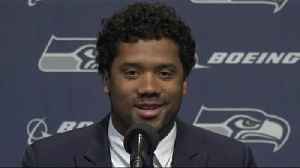 Seattle Seahawks quarterback Russell Wilson, head coach Pete Carroll and general manager John Schneider discuss Wilson's four-year $140 million contract extension. 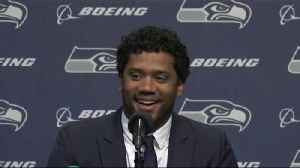 Seattle Seahawks quarterback Russell Wilson addresses the media about his recent contract extension and thanks all those involved in helping him reach this stage in his career. 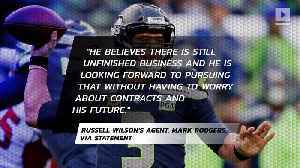 NFL Network's Michael Silver reports on Seattle Seahawks quarterback Russell Wilson, who signed a 4-year/$140 million contract extension. These are the headlines you Need 2 Know for Wednesday, Apr. 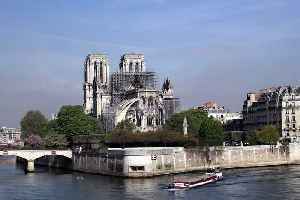 17, 2019. Which veteran quarterbacks are next in line for big pay days? 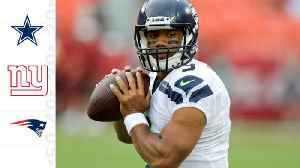 NFL Network's Tom Pelissero and Mike Garafolo break down which quarterbacks are next in line for big pay days after Seattle Seahawks quarterback Russell Wilson's massive contract extension. 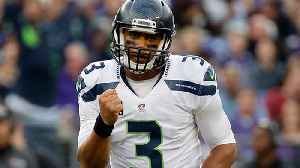 What does Seattle Seahawks quarterback Russell Wilson's extension mean for the future of NFL deals? 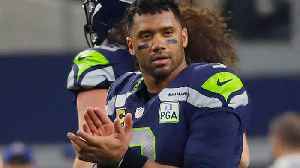 The "Good Morning Football" discuss what Seattle Seahawks quarterback Russell Wilson's extension mean for the future of NFL deals. 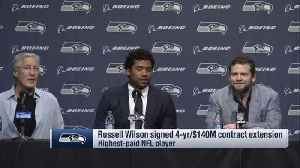 NFL Network's Tom Pelissero explains how Seattle Seahawks quarterback received his contract extension. 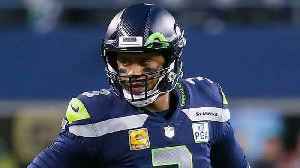 Russell Wilson Inks Historic Four-Year Contract Extension This makes the Super Bowl-winning Seahawks quarterback the league's richest player. 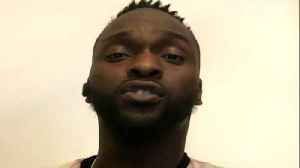 Under terms of the deal, the 30-year-old Wilson is..
Former NFL defensive end Cliff Avril shares his thoughts on Seattle Seahawks quarterback Russell Wilson's new contract and what he's doing for the NFL in the UK. 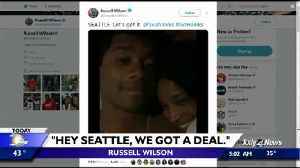 NFL Network's Tom Pelissero reports on the contract extension between the Seattle Seahawks and quarterback Russell Wilson. Russell Wilson is now the highest-paid player in NFL history, Deadspin reports. 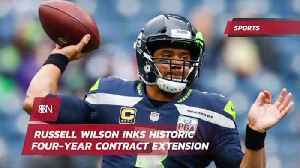 Wilson’s camp and the Seahawks agreed to an extension with a max length of four years and a max value of $140..
NFL Network's Dan Hanzus, Chris Wesseling and Marc Sessler highlight three dream landing spots for quarterback Russell Wilson if the Seattle Seahawks don't sign him to a contract extension. 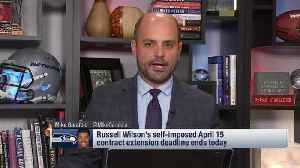 NFL Network Insider Ian Rapoport and Mike Garafolo report the latest on contract negotiations between the Seattle Seahawks and quarterback Russell Wilson. 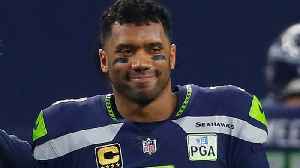 NFL Network Insider Ian Rapoport reports the latest on contract negotiations between the Seattle Seahawks and quarterback Russell Wilson. 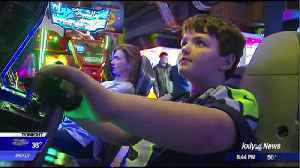 KXLY 4's Robyn Nance has some fun at Gameworks Arcade in this week's Wednesday's Child. 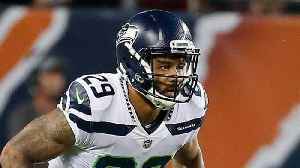 Baltimore Ravens safety Earl Thomas reveals that he hopes to one day retire as a member of the Seattle Seahawks. 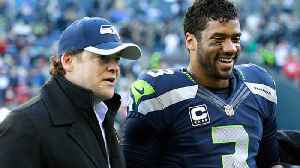 Details reveal Wilson may actually be able to make as much as $146 million in new money in a contract that keeps him tied to the Seahawks through 2023. Seattle does not have a new richest man alive, but it does have a new title for the top-paid NFL QB. 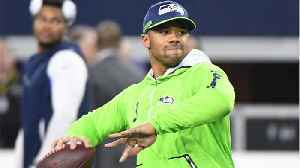 At the beginning of this week, Russell Wilson broke records with his a $140 million four-year..
As John Schneider and Pete Carroll enter their 10th draft, Bob Condotta reviews the nine that have come before it, ranking the overall classes as well as some of the individual picks. Schneider said he doesn't anticipate Clark holding out and said he is under the impression he will play for the Seahawks in 2019. No. 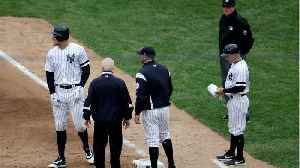 4 Seahawks run winning streak to nine games by handing No. 3 Bucs their first loss of the season. Fourth-ranked Seahawks get four hits from Samantha Freeland in moving to 9-0. 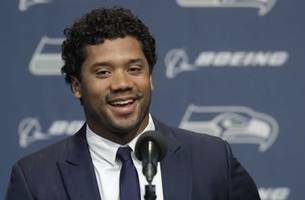 Now Russell Wilson is the NFL’s highest paid player. But is that good or bad for a Super Bowl roster? Last year, none of the six highest-paid quarterbacks in the NFL made the postseason. 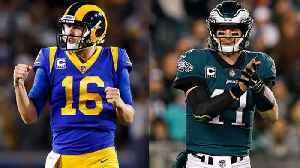 The challenge for the Seahawks over the next few seasons is showing that an expensive QB won't hamper their..
What are the games Bob Condotta is looking most forward to (and the not-most). Here is the annual ranking of all 16 just-announced Seahawks games, from most to least appetizing. Earl Thomas will return with the Ravens on Oct. 20.